Training is a very important part of a business’ operations. The workforce needs to always be in their best condition so they can perform based on the needs of the company. There are a lot of ways on how training can be done which is the reason why professional services are given by suppliers who can help the business train its employees. A training brochure is a great marketing tool that can promote the training services that a business, an individual or a company can provide. Designing a training brochure plays a vital role when it comes to ensuring that the offer listing is attractive and appealing as much as it is informative. 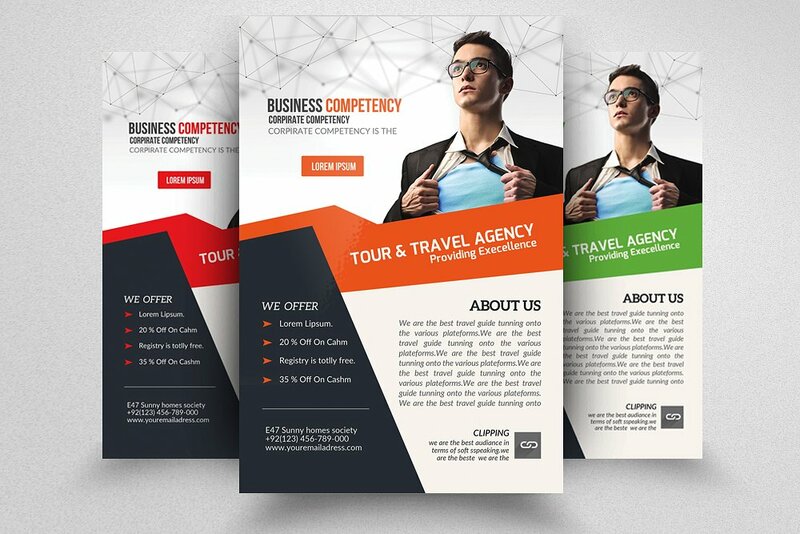 Modern design brochure examples can sure help you get inspired but always remember to the core and brand of the business so you can present your training offers properly. A sports and fitness training brochure is used by establishments to ensure that they have a proper list of the training programs that they can offer to customers. There are various training brochures that are under this category and their content depends on the kind of training services that a business provide. 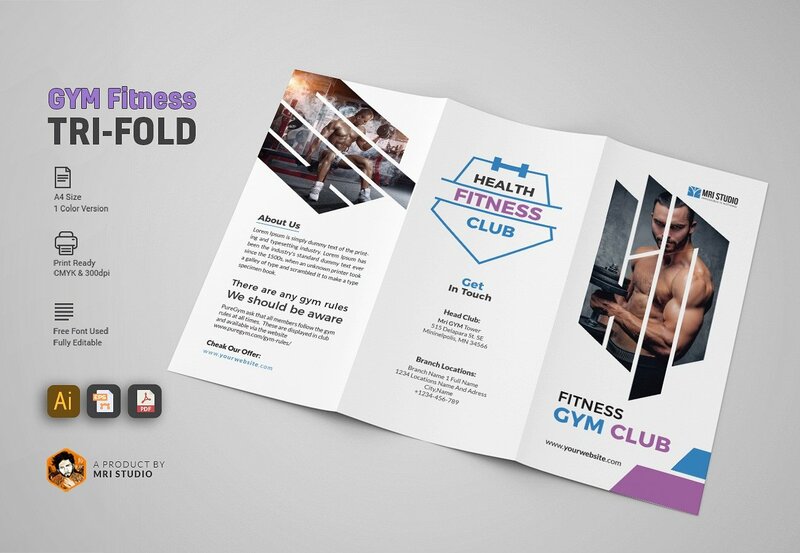 If you will create fitness or sports brochures, you need to make sure that you will balance the content and aesthetic that you will present in the tool. Do not make it look like you are offering tiring activities. You can achieve this balance by using photographs of people who are happy working out or are very enthusiastic when doing the sports training that you offer. 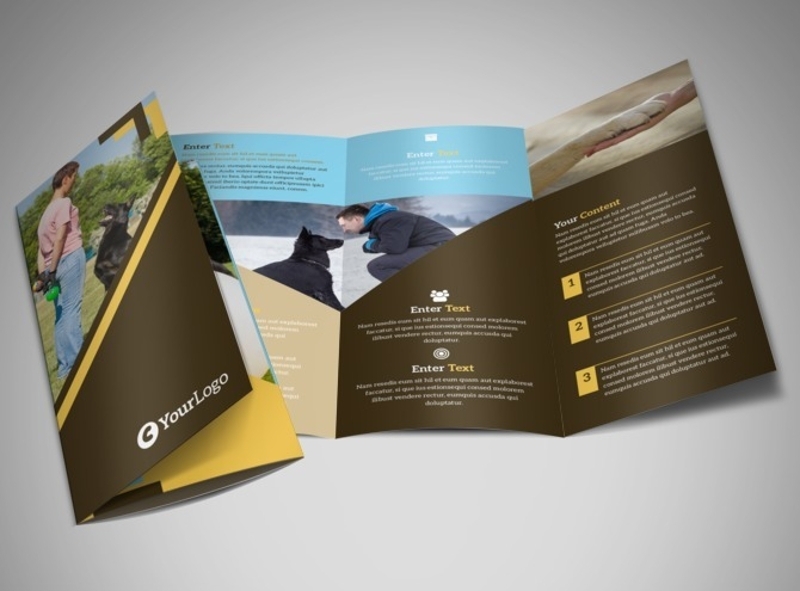 There are many creative brochure examples that you can use as your inspiration when designing your business’ own sports and fitness training brochure. 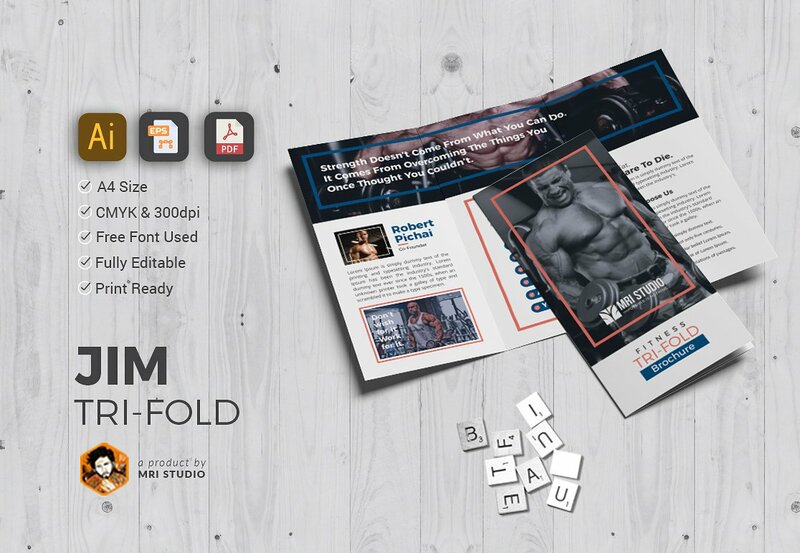 Sports and fitness training brochures are mostly the same in structure and layout. The only difference that is truly evident is the information about the fitness program that prospective clients will be trained for. 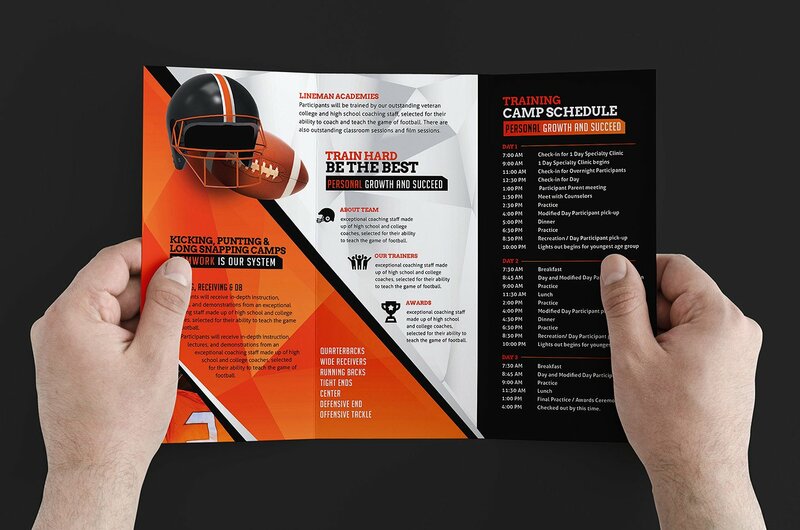 When designing a sports and fitness training brochure, you have to make sure that empowerment can already be seen and felt by your customers. 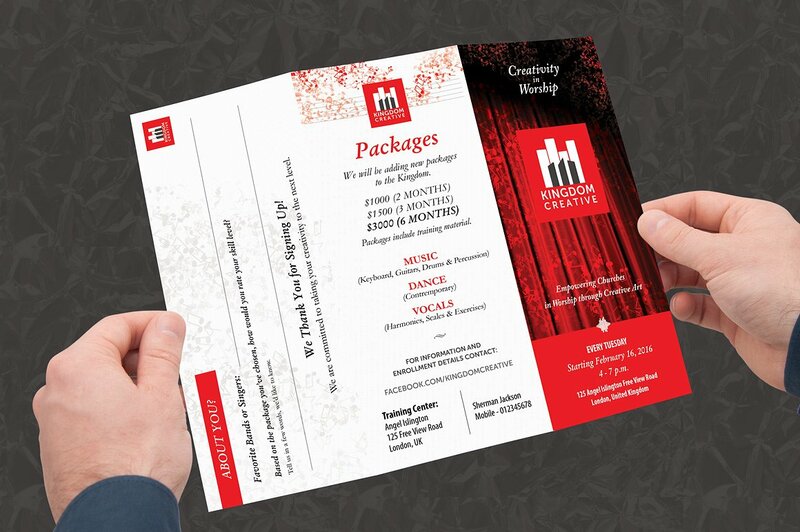 You should create and design an efficient marketing brochure that can draw the attention of your market. People love to get support when it comes to their physical and fitness aspirations which is why your training brochure must be engaging. The most important thing that you need to remember is to list down your training program and the other services that you offer. The content of your training brochure should be highlighted in your training brochure. The design materials that you will use must be based on what your clients can expect from your business. When placing images, you should be aware of copyright issues and other legal matters. Do not use images of people who are not your ambassadors or models, especially if they are known in the field of sports and/or fitness. Ensure that you will use original images or photos that your business has put together through photo shoots and the like. Incorporate current client testimonials in your sports and fitness training brochure. May it be a long statement or a short quotation, words from people who have achieved the results that they target through the help of your company can provide a huge impact to your prospective clients. If they know that there are people who already trust you and what you can do, it will be easier for them to entrust you with their physical health/fitness needs as well. A sports and fitness training brochure is not only limited to target individuals. You can also use this tool to get the attention of potential companies who can get your fitness services for its employees. This is an easier way for you to get clients. 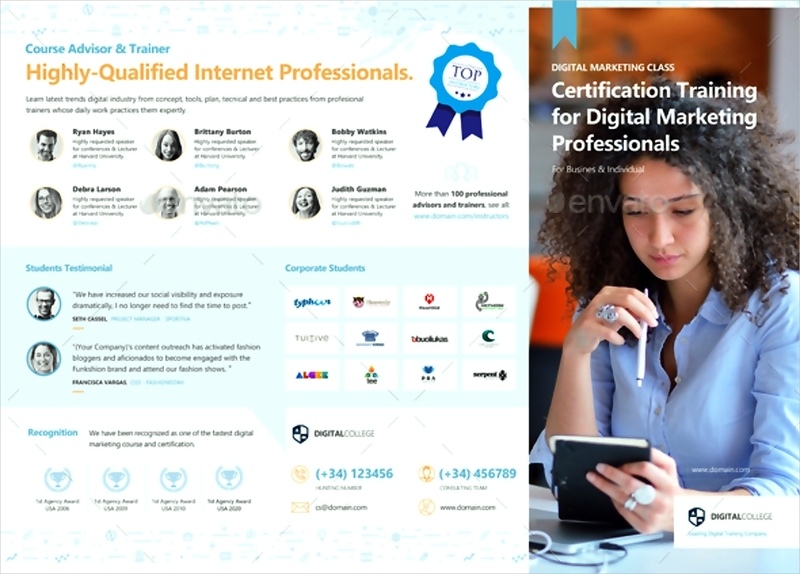 When making this kind of training brochure, you have to make sure that you will include a special offer to the employees of your target business client. Companies need training programs to ensure that the workforce will perform at its best. Employees are needed to be trained so that continuous learning can take place in the work environment. This activity will also allow them to grow as professionals as they can be knowledgeable of more information about the processes of the business. During corporate training, using a brochure can be very helpful. There are different ways that a corporate training brochure can be used varying on the need of the management or the corporate trainer. Keep things to a minimal. 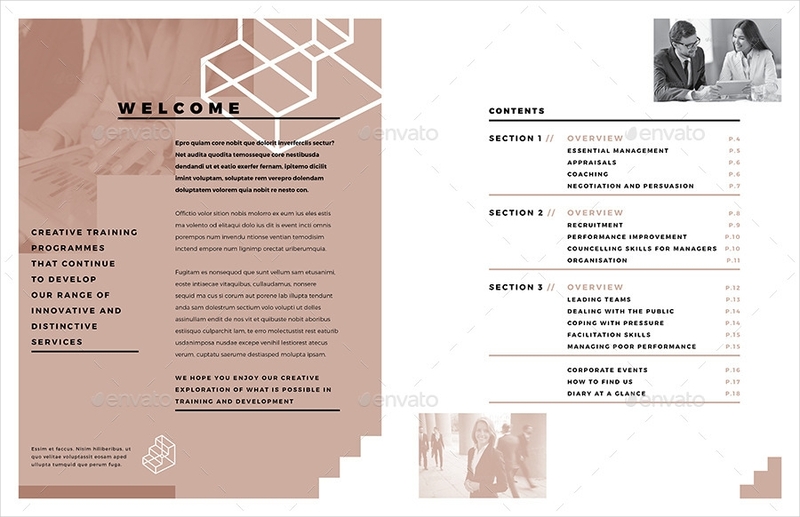 May it be the content or the aesthetic that you will incorporate in the corporate training brochure design, you have to make everything easy to understand and visually pleasing. Making the design of your corporate training brochure minimal can help people focus even more on what the brochure is all about. Use a professional language. Again, your brochure is a representation of your business. Always be professional when providing information about the corporate training. You can also use specific wordings if you believe that the people to whom the information present in the corporate training brochure can easily understand it. Be formal with your presentation. The compilation of the details, images, and icons can say a lot about how organized your business is. The way you present the entire document is essential as it can leave an impact on your target market. Be direct to the point. 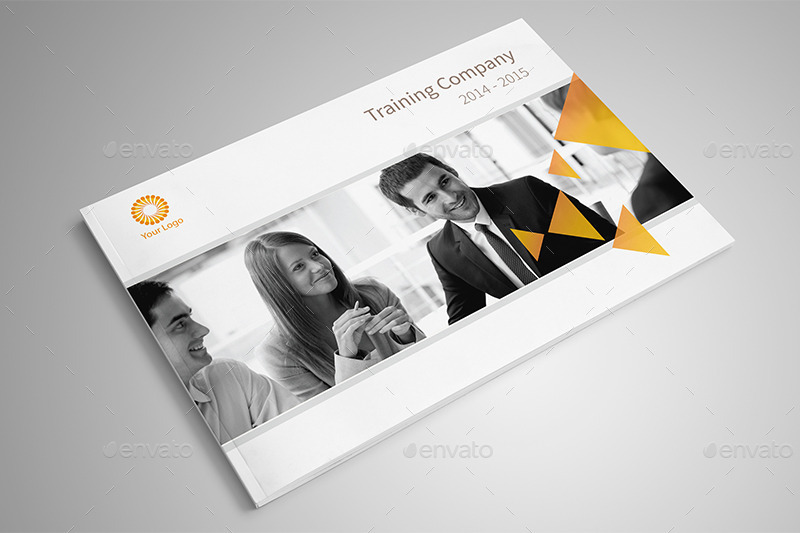 The design of your corporate training brochure should not be overpowering to the point that it is already intimidating. However, you also need to make sure that you are providing a strong point on why people have to browse through the content of the brochure. Directly state the details of the corporate training program so that people who are truly interested about it can read the entirety of the document. Aside from the usage of training brochures in business, fitness and spor, s; it can also be used in the field of academics and medicine. Educational training brochures are necessary to be created so that attendees of different educational programs can be well guided with the things that they will be doing. Specialized schools and academic institutions use a training brochure to ensure that people will know their offerings . Letting prospective clients know that they can get a particular kind of education in the institution can help the business grow its following. For an instance, using a music and creative arts school / training brochure can spark the desire of artists and the like to enroll and experience the services of the business. 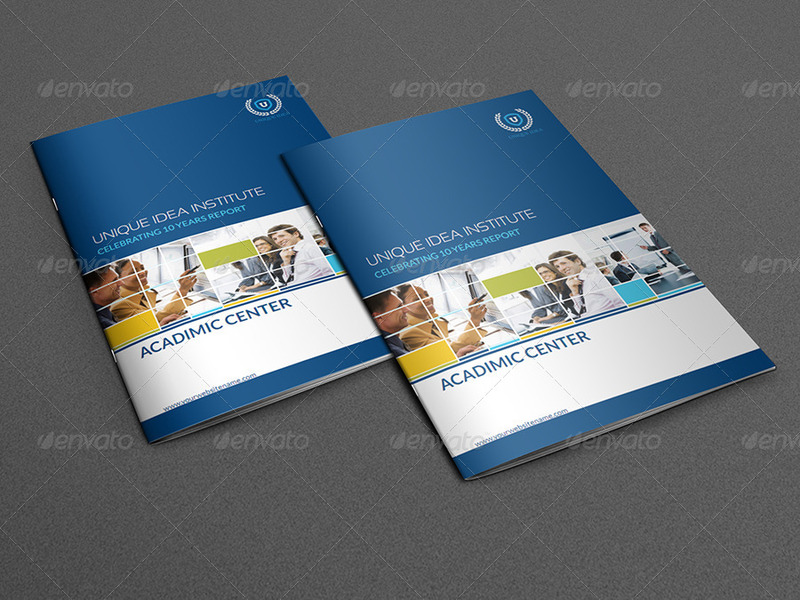 An educational training brochure is not only limited to classes. It can also be used by non-profit organizations who would like to educate people about certain causes. 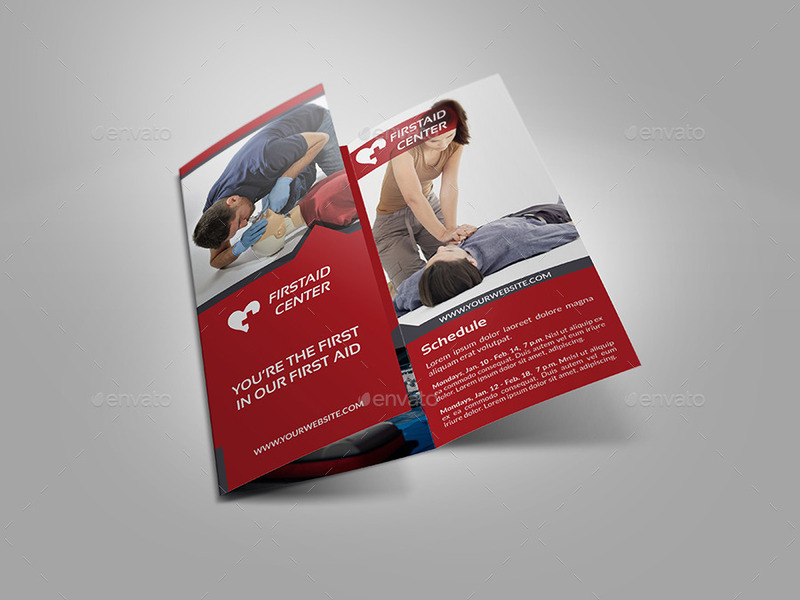 An example of this kind of educational and nonprofit brochure is the first aid training brochure. Before enrolling to a first aid training program, you first need to look on the brochure of the organization so you can easily identify the kind of first aid practices that they can teach you with. There are still different kinds of training brochures that are available for different market niches. When creating, developing and designing this tool; you need to have a clear perspective of what kind of training it is that you specializes on. More so, you need to design the tool accordingly so you can target your prospective customers in a more effective manner.